Dwight Yorke, Leroy Sane, Sadio Mane and even Lionel Messi are some of the most high profile football players to wear the number 19 shirt. Market Dojo’s new and 19th member, Graham Lawson will be hoping to make a similar impact in his new role as Strategic Partner Manager. Welcome Graham, and no pressure! Previously I was at a large (10,000+) organisation and I wanted to go somewhere I could feel more involved in the business. So I started to draw up a shortlist of things I’d like to find in a new job. I was looking for a growing technology company, with their own product and where I could come in and make an impact to be part of their future success. Market Dojo ticked those boxes and has great coffee too – perfect! 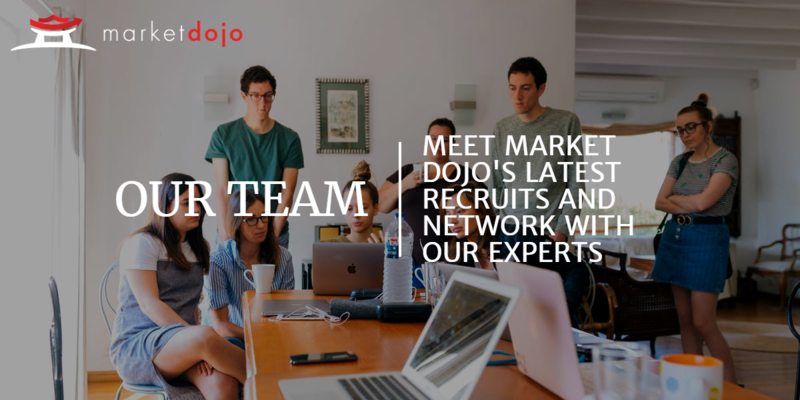 What do you do at Market Dojo and how long have you worked there for? 5 days so far! I am responsible for working with our partners and resellers, to make sure they are up to speed with all of the great developments we are working on and that they have everything they need to help their customers choose to work with us. It’s been really interesting getting to understand the software and the company so far. It’s going to be an exciting time as there’s so much potential. How have you found your time so far at Market Dojo and what have you found interesting? I’ve not even been here a week yet but I’ve already been really impressed with how easy to use our products are and how friendly the team have been. I’ve sat in on a number of product demos and it’s great to see how quickly customers get up to speed and can begin using the tools themselves. 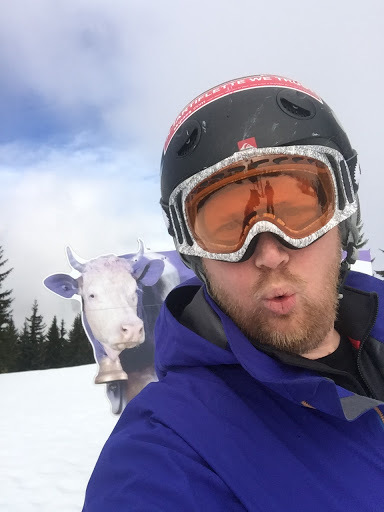 I spent 3 years working as a ski guide in France. A fantastic job with the best views, fondu and tartiflette for lunch and getting to ski every day. I got to meet some really interesting people and each day was different, from helping someone get down the mountain when they had lost their confidence to having to separate two guests who crashed into each other and were trying to start a fight! My goggle marks were pretty good by the end of each season as well! I have always considered myself to have good taste in music (clearly, see above!) but with 2 young children, there has definitely been a change in the music on my playlists. Instead of the Strokes or Bruce Springsteen, you’d now find the likes of Frozen, Moana and a load of other kids songs are on there. In terms of the most embarrassing though, I’d have to say… Baby Shark (Do, do, do, do, doooo)! 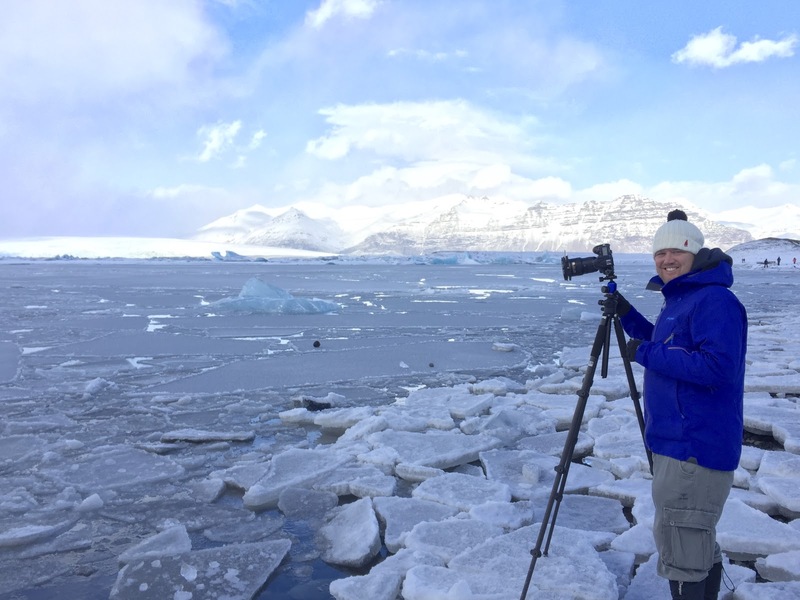 I’m a keen landscape photographer and when I have some free time can be found standing in a field, wood or on a beach with my camera and tripod. It’s a great way to switch off and find a creative outlet. I try and keep one eye on the weather forecast in case there are good conditions coming and I can get out for a bit with the camera. As well as that I play a bit of 5 a side football and still like to get up to the mountains with my skis. Where have you travelled? Favourite place? I’ve been on a couple of big round the world trips as well as some great holidays and there are so many places I’ve loved. The Caribbean has the most amazing beaches and food, Chile and New Zealand have snow when we have our summer so I can ski year round and NYC, Rome and Paris have been some great city breaks. If I had to choose (and it’s a hard one) I’d probably have to say California, Iceland and anywhere in the French Alps would make up a top 3 destinations though. Ask me tomorrow and I’ll probably give a different answer! I’d like to do more with my photography. I’ve done a couple of exhibitions and would love to have a book published one day.